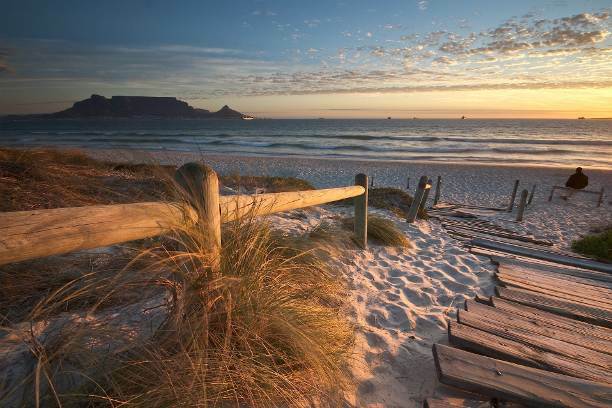 A visit to the Bloubergstrand beachfront is such a pleasure. The coastline with its magnificent view of Table Mountain and the City is so rich and striking. The evening sunsets are typically African beachside – long and calming, inviting many of the locals to take the evening beachside stroll. In winter the seas are typcially rough with waves lashing and crashing on the beach. I find that equally as stimulating. 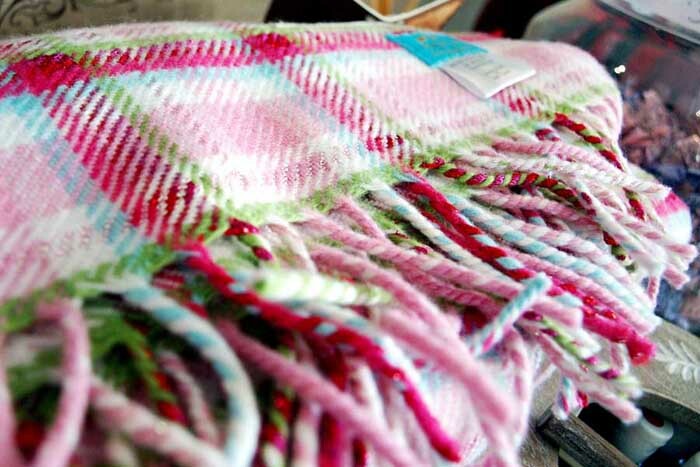 I would don my warm togs and go sit on a bench to watch the wild sea. 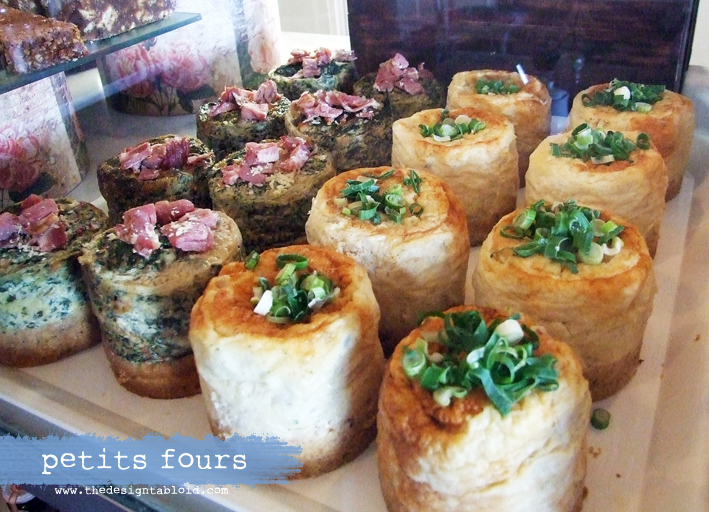 That is why I like the Petits Fours Deli in Bloubergstrand. It is situated a few metres from the beach, with only a tar road between it and the ocean. 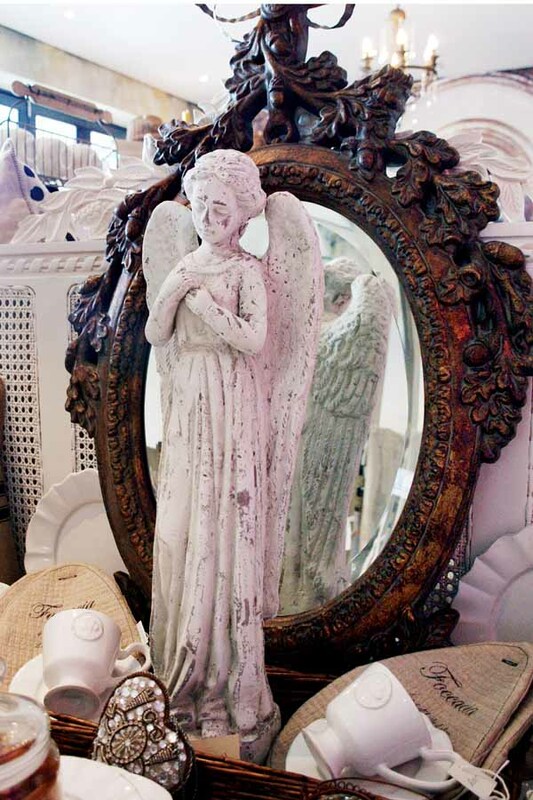 The inviting, relaxed and somewhat ‘earthy/natural’ interiors with a distinctive rustic french flair beckons you to a relaxing meet-and-greet time with friends. The big windows facing onto the beach just create that seamless interaction with the coastal natural elements, that keep you totally connected to Cape Town and the sea whether the sun is sunning or the wind is ripping outside. Love it. 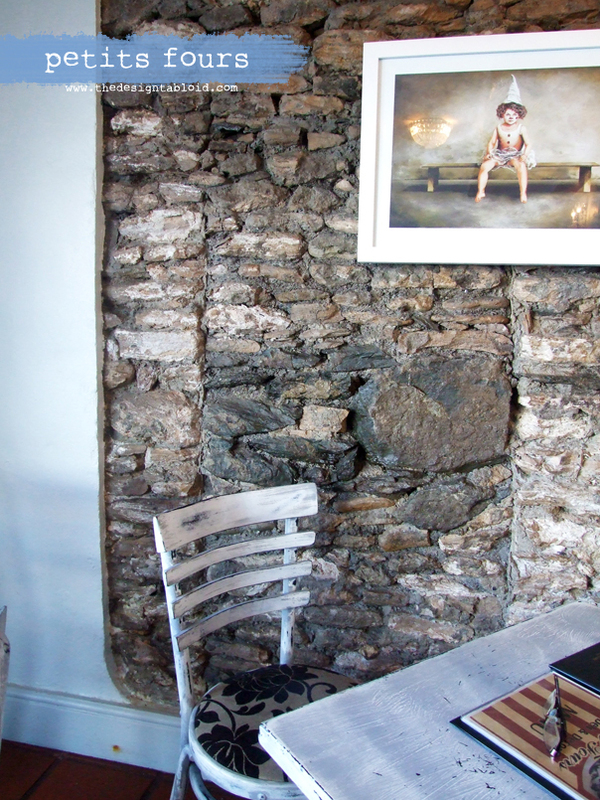 I am one of those folk that cannot sit in a ‘bad interiors’ restaurant. It’s all about the ambience and experience for me. I tend to take the lead for the food from the interiors, as crazy as that may sound. But for me it is yardstick to measure the food experience by. Naturally there have been times when the good interiors belies the bad food. But not in the case of Petits Fours. I am no foodie or food critic. But I enjoy their light meals and could recommend this venue anytime. 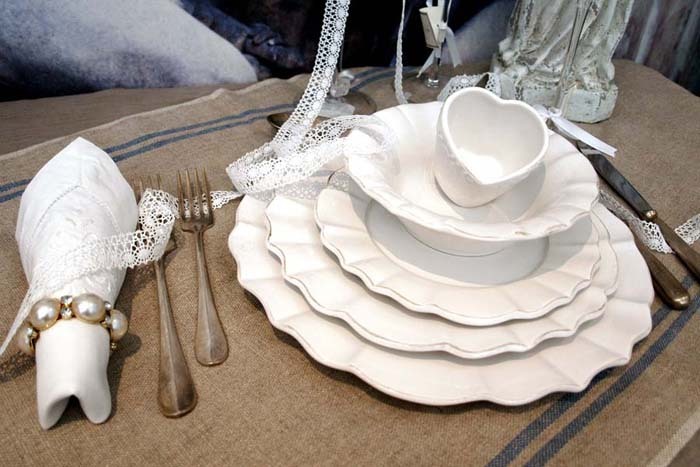 Plus – they also retail lovely décor accessories and carry a range of embroided bedlinen. I just simply love this whole concept of combining retail with a coffee shop. It has an “Olde Worlde” feel about it. Another of my very favourite and regular beachfront eateries in Bloubergstrand is Ons Huisie. But more of that some time in the future. 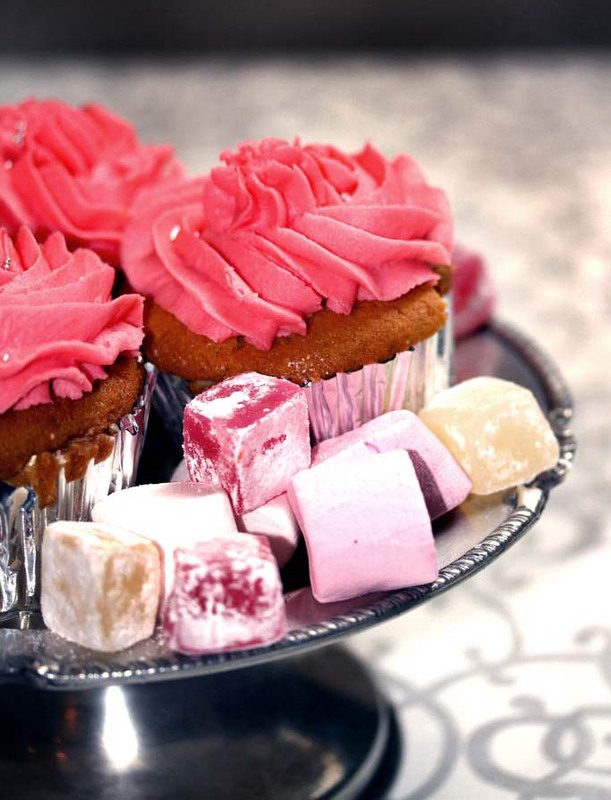 Check out Petits Fours website: here. 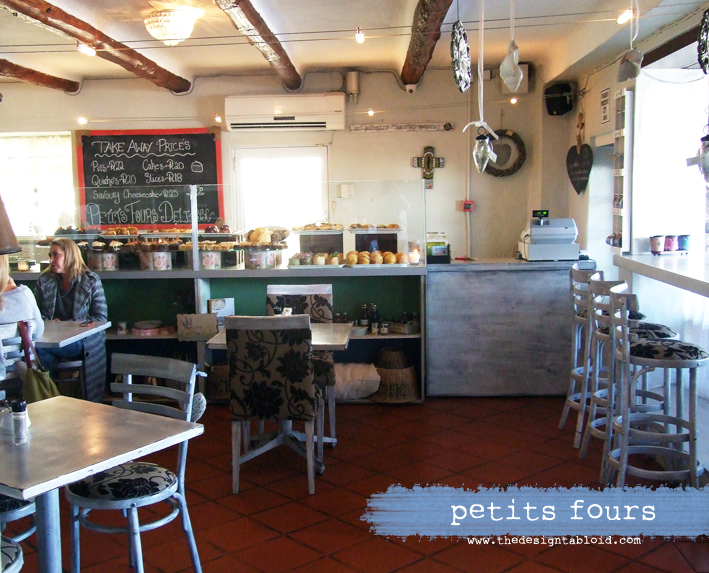 And some awesome news for you not residing in Cape Town – Petits Fours has “branches” in Durban and Joburg. Each deli has it unique “look” and the original flagship store is in Verdi Shopping Centre. 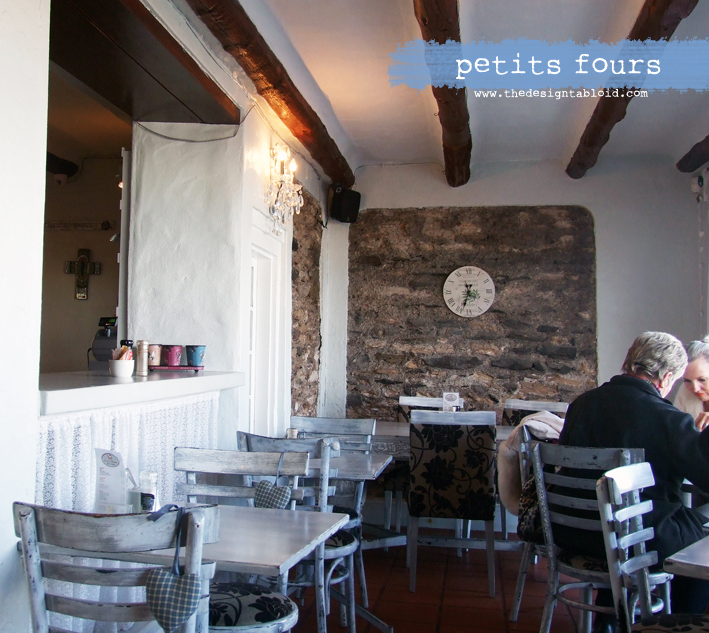 If you have been to any of the other Petits Fours let us know what you thought! Images 3, 4 & 6, 7 sourced via Petits Fours. All other images are property of The Design Tabloid. Such a great lil spot, met friends there a couple of times. Ditto to not being able to sit in a “bad interior” it really does play such a huge part. Looks really inviting. I will definitely want to try this restaurant when i am next in CT!! O Rose, I am so glad you wrote this post. We have two branches of Petit Four here in Johannesburg and they are simply stunning! The original one was actually down the road from my house. I have spent many an intimate lunch in there with friends, had a few business meetings there and I even sometimes go sit there by myself to work or relax. I love their food. Isn’t it just yummy? Hey Lelanie – I saw those two other branches in Gauteng (probably franchises). They look fab and by comparison this one here in Blouberg is the country cousin. I have a strong feeling that a re-furb is on the cards. It used to be called the Cafe Blouberg (I think). You hit the nail on the head with the word ‘intimate’, something that is hugely attractive to me. 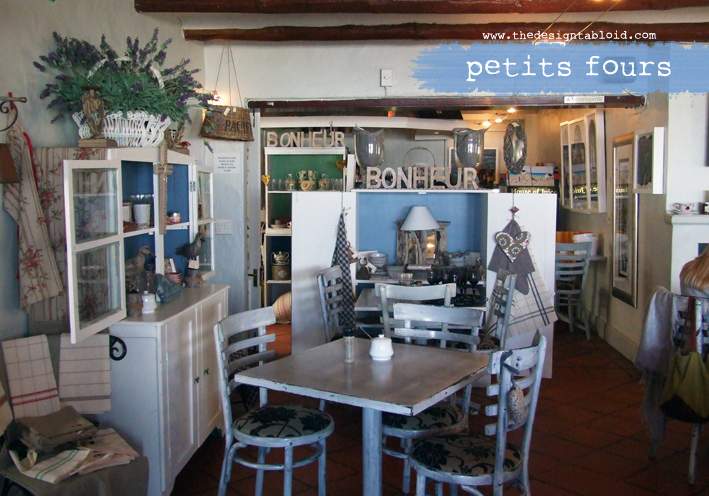 This past Saturday was one of those very special summer days in CT. A friend and I went off to have a coffee at Petits Four. It was full from early morning. Their cappuccino was delicious, hot and a good size cup. My quirk is often that the cups are small and lukewarm. The other fabulous plus was that they had no problem with us sitting there chatting away for well over 2 hours, without ordering anything to eat, despite the fact that people were constantly coming and going. However, the noise levels were at times really frustrating. My friend has a soft voice and many a time I could barely hear what she was saying. We had to move twice in an effort to move away to a quieter spot. Granted there was a party of ladies there which added to the noise. I must say, I will think twice about choosing Petits Fours for a coffee & chat venue over a summer week end again. Perhaps I should research & investigate some method of introducing sound absorbency into the venue and recommend it to them.